David leads launch of innovative new beverage product. One of Europes toughest business sectors was given a boost recently when acclaimed speaker and personality David Meade was chosen to drive the launch of an innovative new product … and with some cunning advice from television’s favourite mentalist, academic and internationally acclaimed business motivator, the delegation of senior drinks executives were left under no illusion as to the future of the market. Having worked closely with PR guru’s Future Image on the launch, alongside Nicola McCleery and Paul McGurk from Tennents Ni Ltd , David was charged with designing a bespoke product driven keynote presentation that would resonate with delegates, and offer meaningful business value for each of their organisations. Following extensive research to this end, and much work with the client partners, David delivered two separate high energy sessions that focused tightly on the nature of change in the ‘on and off trade’ sectors, with reference to the changes in patterns of consumer demand and spending, and the importance of continuous innovation. TNI was delighted with David’s input into the launch of Caledonia Smooth. The tailored content struck the perfect balance of business improvement all delivered in an extremely unique and engaging style. Very entertaining, engaging host that is truly different – and David’s presence enabled us to harness a very strong media hook. David is witty, unique, intelligent, entertaining and thought provoking. I would absolutely recommend David’s services in a heartbeat. I can’t recall having hired anyone who does anything reotely similar. He exceeded our expectations and went over and beyond his duty in preparation, to tie in with the other presenters on the day, and ensured we had a smooth event, which was greatly appreciated. He was the hook to attracting attendees to the launch and also to educating them in an entertaining fashion throughout the evening. The night would not have ‘stood out from the norm’ without him. He’s unique and in a class of his own. I can’t imagine how he could improve on perfection. 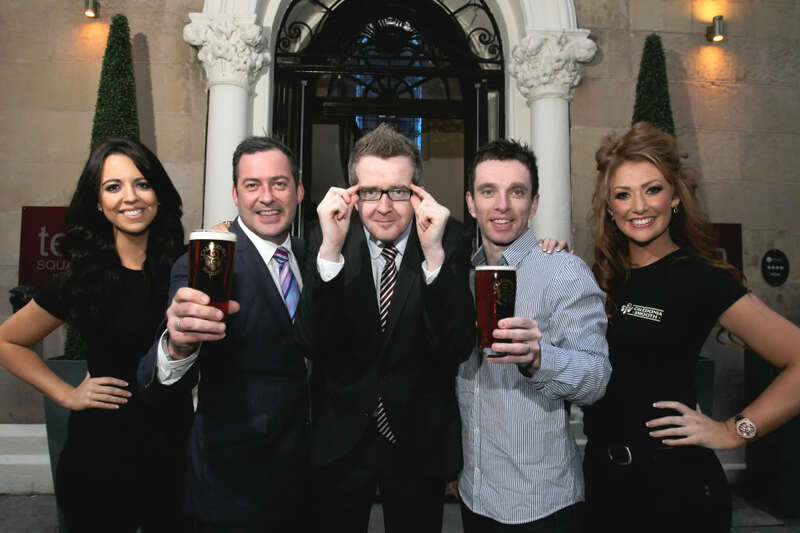 Caledonia Smooth is being hailed as the ‘next big thing’, but Tennent’s NI, the company behind it, ensured its launch was every bit as innovative as the product itself, recruiting mentalist, psychologist and business expert David Meade to introduce what is already the sector’s ‘talked-about brand’. He gave publicans some insider advice on how to excite consumers and ‘psych’ them into taking that first sip of something different. Nicola McCleery from Tennent’s NI says, “As a business we’ve always been committed to innovation and that ethos has never been more valuable than in today’s challenging marketplace. The licensed trade has been buffeted by the twin effects of austere times and changing leisure patterns and we believe that, to survive and prosper, we all need to be doing things not only differently, but also better. “Having the advice of a television mentalist is certainly a fresh approach, but, however entertaining, it wasn’t simply an attention-grabbing novelty. David’s charismatic and entertaining television personality is already well known to national tv audiences and he has earned a serious international reputation as an inspiring, motivational speaker, complementing an academic career as a university lecturer here in Northern Ireland and visiting lecturer in North America. He brought not only business acumen and vision, but also hands-on experience of bar and hotel management gained on major projects in the US. That’s a fabulous blend which sits perfectly with the all-new Caledonia Smooth . . . itself a fabulous blend! The launch initiated licensees in the art of pouring Caledonia Smooth correctly, focusing on the origins and qualities of the product. Taking the trade through the product paces was the creative F & B Partnership, celebrated for quirky workshops specially created for the food andbeverage sector.